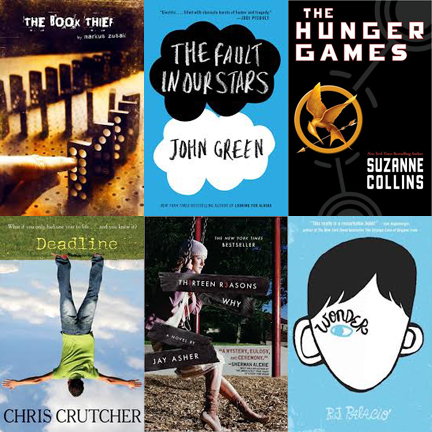 Are our students missing out on some great reads? Yes, yes they are. There’s been some chatter about school districts banning Young Adult pieces as well as graphic novels because they just don’t think they’re worthy of being taught or because they feel they’re inappropriate. Michael Cavna recently addressed this issue in this article in The Washington Post. But I’ll come back to this, because I haven’t always felt this way — it took me some time to get here. I’m 42 years old and I’ve been reading for a LONG time. I’ve always loved to read and it was fostered by those who influenced me in many, many ways. Thankfully, I’ve never had an issue with reading and I’ve taken to reading pieces across many genres. Having grandparents who were teachers and who pushed my learning, I tended to read pieces well beyond what the typical 3rd grader was reading to their delight. I got lost in The Hobbit and a Roberto Clemente biography I found at our local library. At the same time, my opinion on teaching the “classics” in English class was solidified by having teachers who instilled their importance on me when I had them. So I was going to do the same, no matter what it took. Eat your vegetables, I thought, as I pushed more chapters on them and demanded that they read Hawthorne and Buck and Hemingway and Steinbeck. And some actually did end up liking what they read, but most resented them the way that I do when I have to go to the dentist. About five years ago, as a department, we looked to revamp the novels we would teach. Part of me wanted to say that Hester Prynne was still relevant, but another part decided to listen to what others had to say and they felt we could hook our students to similar themes with more contemporary pieces. Admittedly, this wasn’t that easy for me. When I took a hard look at my love of The Good Earth, though, I realized that it wasn’t until I was in my mid 20s that I grew to love it. Experiences and perspective helped in this, I’m sure. Okay, I’m sorry, I have to digress again. I had a student several years ago who I witnessed crying during a free reading time. She was reading Markus Zusak’s The Book Thief and was just flat out bawling. I have to say that I got a kick out of this — bawling from a read? It had to be because of her being 16, plain and simple. At least that’s what I told myself. For Christmas that year, I received a copy of the book and a card in which she told me how important the book was to her and that I should give it a shot. But I didn’t; I let it sit on a shelf. So back to our discussions of updating our reading list. I’ve said this many times — we have the greatest librarian on the face of this earth and she took part in our discussions. The Book Thief was brought up and I figured I had to see what the fuss was about. Literally, I couldn’t put the thing down. I didn’t want to like it. But I did. Wait, I thought. This is a Young Adult piece. This can’t be worthwhile. This isn’t a classic. And yet I couldn’t put it down. And yet I found myself bawling — and I say that with no shame whatsoever. I could see this novel working on so many levels. And I’ve loved teaching it ever since. Does it have the same themes as The Scarlet Letter? No. Does it utilize the incredible sentence structures that Buck employed in The Good Earth? No — well, in fairness, Zusak can certainly construct some great ones. Does that mean that it doesn’t hold the same value as these classics? This is the part that I’ve really come around on. I truly believe that this book — and others as well in the revived Young Adult canon — is vital to our attempts to instill a love of reading in our students. Do I personally like the Harry Potter or Twilight books? No. Do I love that kids are reading again — check that — that kids are devouring these pieces? Yes, yes I do. So back to the start. Are our students missing out on some great reads? Yes they are. Because people like me stood in the way of these pieces. We said that we had to stick to the tried and true (partly because the tried and true is typically an easier road to take). But we can do better. If I can spark the interest of a student in reading John Green’s The Fault in our Stars and that propels her to try RJ Palacio’s Wonder and Chris Crutcher’s Deadline, then perhaps, down the line, when they have more perspective, they’ll come back to some Hawthorne or Hemingway or Steinbeck or Buck. Or perhaps they won’t. Perhaps they’ll “stray” to a comic book or a graphic novel or a western or to Zen and the Art of Motorcycle Maintenance or The Bible — who knows? Perhaps they’ll see that, while they loved Natalie Portman in “V for Vendetta,” the movie just didn’t compare to the graphic novel, in which the images seemingly jump off the pages while invoking a sense of rebellion. So back to the graphic novels. I really see this as being the next big thing — and yes, I know, they’ve been around for quite some time. What I mean is that I really think this is a genre that is going to explode — and I look forward to this. 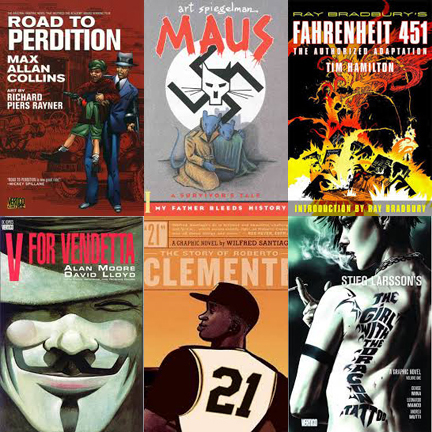 I look forward, even, to the reinterpretations that have been coming out — whether that be of Fahrenheit 451 or The Girl with the Dragon Tattoo — to see these stories told in graphic novel form is just… exciting to me. I’ve always been a big Roberto Clemente fan even thought I unfortunately never got to see him play. I’ve read just about anything I can get my hands on that has dealt with his life — yet nothing hit me quite as hard as the graphic novel treatment. It just clicked even more for me. Am I supposed to think this is a lesser form of literature just because there are pictures involved??? Recently, I’ve been on a Young Adult kick. I actually get a laugh out of the fact that these authors are not always taken seriously, as though they’re a lesser writer because they aren’t writing like Henry James. I can assure you that Crutcher and Green and Zusak and Palacio wax poetic on many occasions. You can read The Hunger Games at face value or you can truly get into the anti war and deeper themes Suzanne has layered throughout. I’ve found it incredibly interesting to take a look at these Young Adult pieces while I’m in my 40s and waxing nostalgic. But that’s not what I’ve liked the most about them. What I’ve liked the most is that they’re just flat out good — and we shouldn’t rob our kids of the opportunity to study these pieces because we’re hung up on sticking to the classics. Shame on us.